TV Analysis: Is “The Walking Dead” finding its source material again? I had written an article four episodes into the current season of “The Walking Dead” that reflected my disdain regarding the show’s direction. Similar to season two, we experienced two different stories here and the ladder half is far superior. My original consensus earlier this season stated that there wasn’t enough focus on character reflection; something that the graphic novels delivered in truckloads. I experienced the wrath of many “Walking Dead” apologists who disagreed with my comments, but I stand by my original statement. The sickness conflict never felt like a real threat to our main protagonists, it felt like it was there to kill time, and may have been there for logistical purposes. Whether or not Carol will return is still up in the air. Re-watching one of my favorite modern horror films “The Mist” I recognized three actors from the “The Walking Dead” ensemble. Laurie Holden (Andrea), Jeffrey Munn (Dale), and Melissa McBride (Carol). Dale died in season two, Andrea in season three, and now Carol may be gone for good. In the graphic novels all these characters lived much longer and some are still alive. “The Mist” was directed by Frank Darabont, the original show-runner who was fired at the end of season one. There is absolutely no way for me personally to prove my theory, but maybe writing Carol off was a long-time coming due to McBride’s relationship with Darabont. Sure, there are contractual restraints, but maybe all three actors just rode it out as long as they could. I still think it is equally likely we will see Carol again. Just a tangent thought really. There also could’ve been something in David Morissey’s contract where he had only agreed to appear as the Governor in three episodes this season. So they wanted the infamous prison showdown to happen mid-season and used the sickness conflict to burn time. Again, these are just theories, but I seriously believe the sickness was a sloppy way to write around things occurring off-screen. 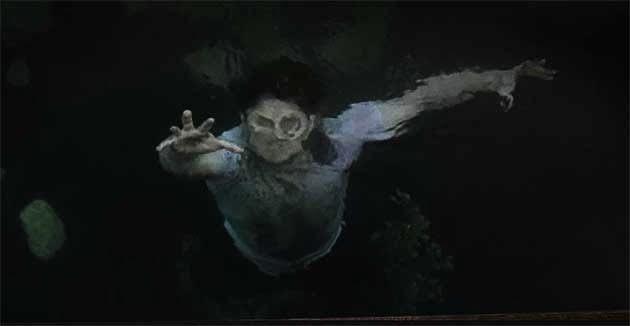 There is a definite improvement in quality with the mid-season finale and the episode before it “Dead Weight,” an episode that didn’t try so desperately hard to make us feel sympathetic toward the Governor like “Live Bait,” the episode before it. If you are a fan or the comic series, like me, then you may have been let down when season three didn’t end with the prison showdown. 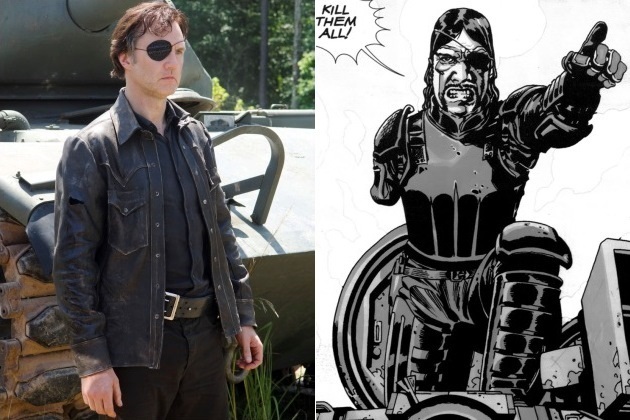 I had originally anticipated that Andrea, who becomes fond of the Governor in season 3, would be the best choice of character to take out the Governor during the chaos. Instead she died anti-climatically and the whole focus on her characters’ storyline was pointless. Again, maybe they anticipated the season 3 finale to be the prison showdown, but something got in the way possibly with the show-runners, the producers, the actors, or just the budget in general. After tuning in with low expectations to “Dead Weight,” I had to rejoice when I saw the infamous tank, like many other comic fans. Though character roles had been slightly swapped, the prison showdown was very similar to the comic. 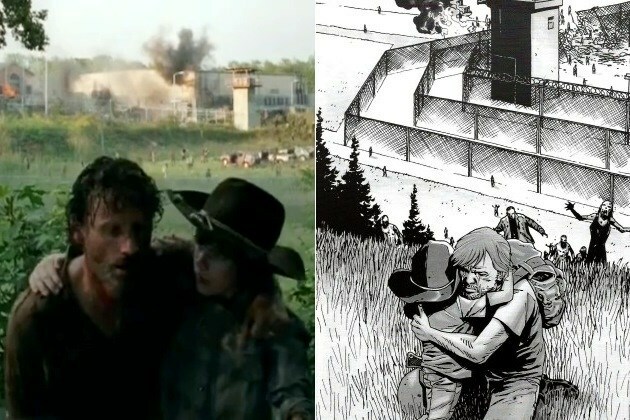 It was one of the most jaw-dropping moments in the comic, and it had the same affect on screen. It was one of the greatest episodes “The Walking Dead” has seen. 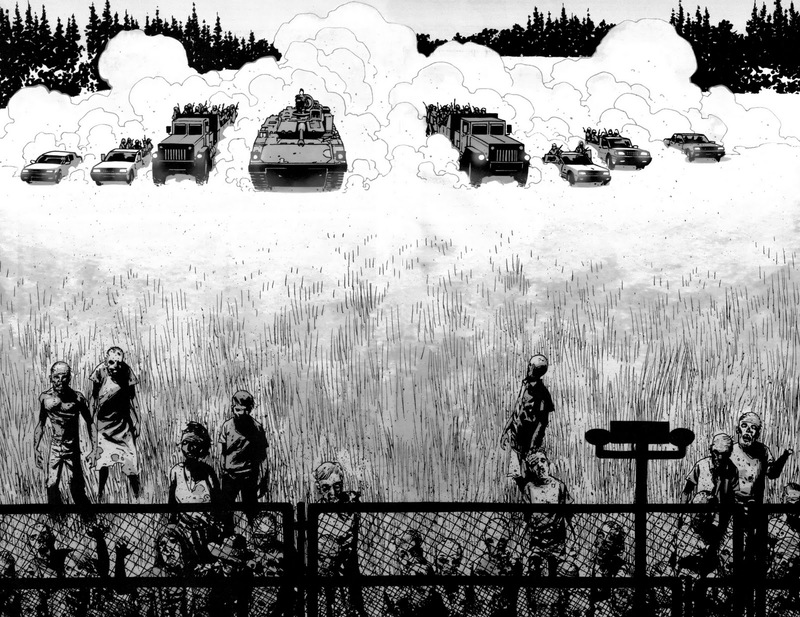 So is “The Walking Dead” finding its source material again? I’m sure the same question has been asked since the show started. Some comic fans welcome the changes, but I never have, primarily because the changes don’t work more often than they do. The show always manages to go off on its own tangents, that’s not the problem. The problem was how far they diverged from the source material and how much emotional content was lost in translation. The comics are a success both critically and financially. Not saying that the comics are perfect, they have some great memorable moments, but overall they feel repetitious. The story as a whole delves into challenging the central characters’ will to survive, over and over again through multiple tragedies. So I guess the answer would be: we’ll see. AMC’s “The Walking Dead” has always had the potential to be the best show on television. It has already broke many record ratings, it just needs to be better; and I believe that moving closer to the source material could considerably help the series. “Game of Thrones” is a critical success, receiving a good deal of award recognition, which is rare for shows that fall into the fantasy genre. With “Game of Thrones” the changes from the source material are minor, not major. If the source material works and has been successful then don’t make such major changes to the narrative, you may have a hard time finding your way back and you may alienate fans. I’m excited for “The Walking Dead” to return on February 9th, the last two episodes could arguably be called two of the best in the series, so hopefully they keep climbing that mountain.